Gift the perfect gift with those special moments caught on camera and framed in this stunning photo frame. In a stunning grey wood effect. This frame can be wall mounted in a portrait or landscape orientation with 3 apertures for displaying those photographed moments. Just perfect for wedding, birthday, anniversary or candid snaps of friends or family. The best way to show of those favourite moments. Each aperture holds a photo size 15cm x 10cm. Gift the perfect gift with those special moments caught on camera and framed in this stunning photo frame. In a stunning grey wood effect. This frame can be wall mounted in a portrait or landscape orientation with 3 apertures for displaying those photographed moments. Just perfect for wedding, birthday, anniversary or candid snaps of friends or family. The best way to show of those favourite moments. Each aperture holds a photo size 15cm x 10cm. 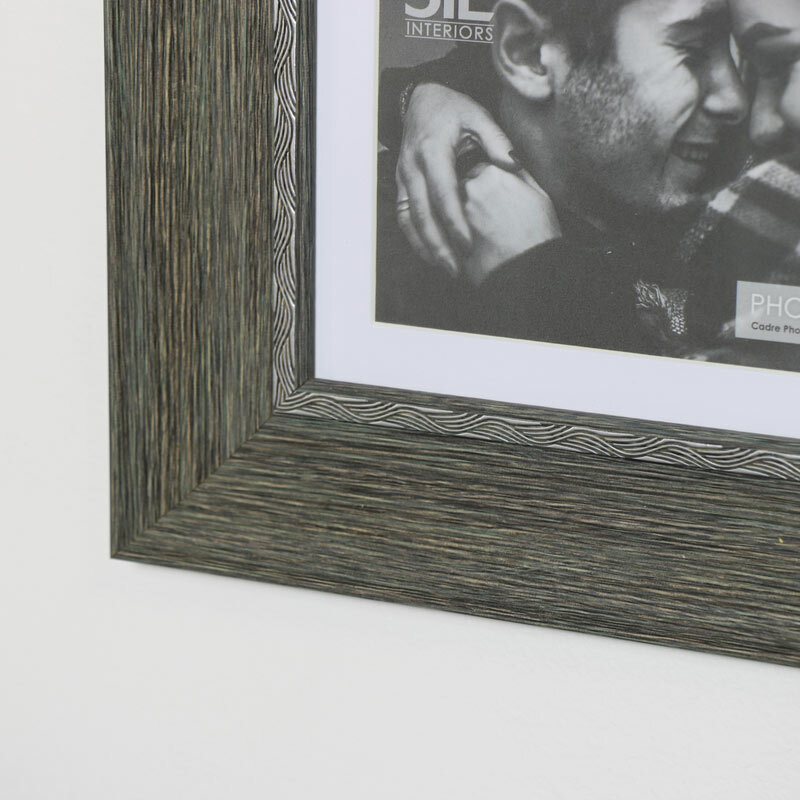 Lightweight wall mounted design in a grey fnish with silver detailing on the inside of the frame. Easily hung from the hook on the back. With a fantastic range of photograph frames from freestanding and wall mounted, we have the perfect way for you to display all your best moments to their full effect.